The most disagreeable aspect of the migrant crisis now confronting many EU countries is that the authorities did not think about the consequences carefully, says Margot Parker, Member of the European Parliament for the UK Independence Party. RT: How much has this German open door policy affected the rest of Europe? 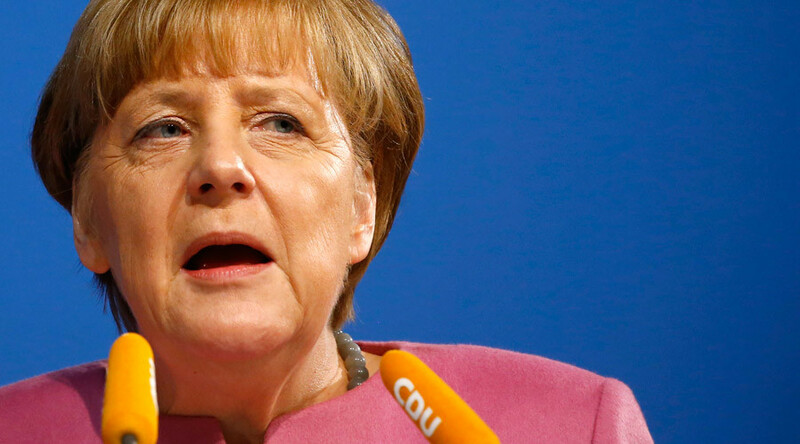 We've seen some European politicians pinning blame directly on Germany. Margot Parker: The German Chancellor certainly gave a message that ‘all are welcome’ and many of my colleagues, and I certainly thought, that this was a pretty irresponsible thing to do. There is a massive problem; they don’t seem to be able to control it. Without having sort of holding camps with open borders, Germany really exasperated this problem. People are dismayed in the UK. Most of the people I’ve talked to have said: ‘What happened in Cologne, we’ve heard stories, but this is really the first time it has been exposed in the media.’ I know that RT reported pretty fast on that, but it has taken the German media a rather long time to expose this situation for what it is and to have an honest conversation on what really happened. RT: Merkel has actually backed down on her much criticized open door policy saying the number of refugees should be limited. Will that improve the situation? MP: I can’t see how. I believe there are still thousands making it [into Germany]. Without tackling the traffickers, those people that commit the most awful crimes on general refugees, as well as the economic migrants that are still continuing to flood into Europe, and the young, underage people, they’re all victims. I think they’ve been pretty irresponsible about this and I can’t see what they’re going to be able to achieve quickly. But certainly what happened in Cologne has been very much a wake-up call. I think it’s a shock to a lot of people and certainly it wasn’t right that the mayor of Cologne [Henriette Reker] has basically said that women need to have a code of conduct, which is of course completely unacceptable. It’s an outrageous statement. Women are not second-class citizens. It is not their fault this happened… I was quite horrified to hear that. RT: Is the violence directly connected to the influx of refugees? Can those arriving in Europe be assimilated successfully? Or are Europeans expected to change their ways of life? MP: Well, certainly not. People coming to another continent are going to have to live and abide by the ways of the country that they hope to integrate and live in. But certainly the vast numbers, you can’t assimilate huge numbers of people into society just like that. It’s just not possible. And if people have no respect for women, that’s something that Europe is really going to have to look at because it’s just not on. I think it’s shameful that this has not been addressed; they haven’t looked at it; they haven’t thought about it. That’s probably the most disagreeable aspect is that the EU has not thought about this carefully and I am very unhappy with Germany. I believe Chancellor Merkel behaved badly, she was rather stupid in doing what she did, and now we’re all suffering the consequences of that and we have to try and put it right. And it’s going to be very difficult. RT: How come similar assaults in Europe, albeit on a smaller scale, are only becoming public knowledge now? We have to stop this mass influx of people. Schengen has been a shambles; it’s absolutely in tatters, there’s no doubt about that. Margaret Parker is a member of the European Parliament for the East Midlands region for the UK Independence Party. She was elected in 2014.